All students are expected to maintain a practice over the period between the intensives. Please fill in this online form or call us at +65 64422881. Please make cheques payable to OASIS HOLISTIC and post it to us. Places are confirmed upon receipt of payment. 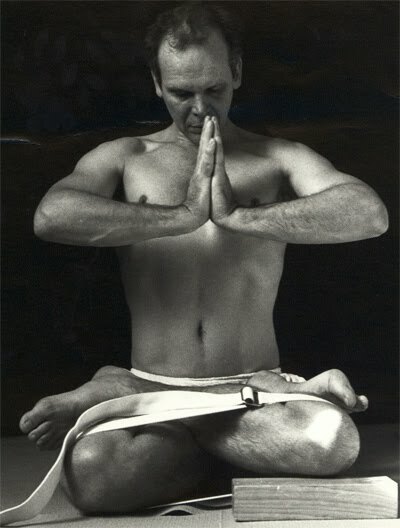 Peter Thomson has been practicing yoga since 1979 and a student of the Iyengar family since 1981. He has traveled to Pune to study at the Iyengar Institute in excess of 20 times in the period and has been a participant in some special intensives and courses at the Institute over the years, including the backbend intensive with Mr. Iyengar in 1991. He founded or co-founded a number of significant schools in Sydney (The Yoga Space, The Sydney Yoga Centre, Mosman Yoga Room) and in 1988 founded the Glebe Yoga School. In 2002, Peter founded the Sydney Yoga Space. Peter is one of Australia's most senior and most experienced teachers and practitioners. From September 2007, his teaching will focus on the intensive courses in regional centres around Australasia and Asia and on intensive practice-based retreats typically in Bali. Peter’s particular interest in the practice and teaching of yoga is the depth of perception, inquiry and understanding that sustained practice can develop and in making that understanding accessible to students so they can claim it as their own.